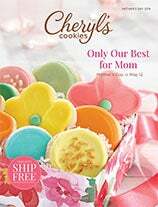 Wish someone a Merry Christmas with Cheryl's Christmas cookie baskets. Christmas cookie gifts like frosted cutout reindeer cookies, elves, and Christmas tree shapes are the perfect festive Christmas cookies to send to family & friends or have delivered under your own tree. Christmas cookies are a welcome sight to almost anyone during the festive season. 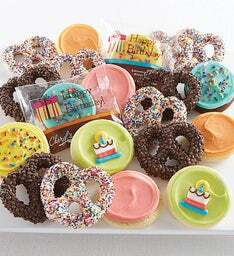 Not only are they delicious, but their holiday shapes and colors make everyone feel cheerier. Send gourmet Christmas cookie gifts and baskets to your friends and family for a special holiday surprise, or have Christmas cookies delivered to your own home to treat yourself this holiday season. 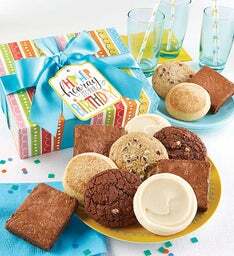 You can even have Christmas cookie gifts delivered to your office to share with co-workers. You'll be the most popular employee in the office this holiday season! 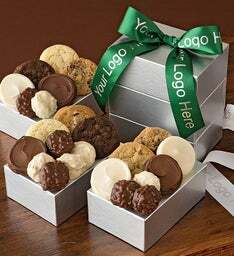 Personalize your Christmas cookie gift baskets for a special touch. Gourmet Christmas cookies set the stage for a fantastic holiday season. 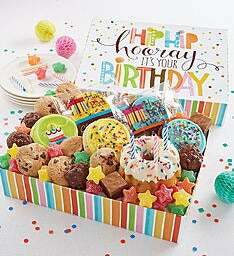 Whether you’re looking for a personalized box, pail or gift tower, or you want a large basket full of your favorite goodies, we have the holiday treats you’ve been searching for. Available in many shapes, sizes and colors, our Christmas cookies are for sale now and ready to light up your holiday. 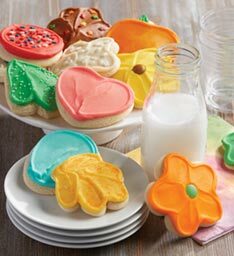 Ordering Christmas cookies online is fast and easy, and there are a wide variety from which to choose. If you don’t see exactly what you’re looking for, please contact us.